When the Scottish Government needed more space for one of their most important data centres, GLM were employed as part of an M&E-led consortium. GLM fed into an option appraisal which ultimately resulted in the Scottish Government deciding to keep the data centre in the 1940’s former hospital building. 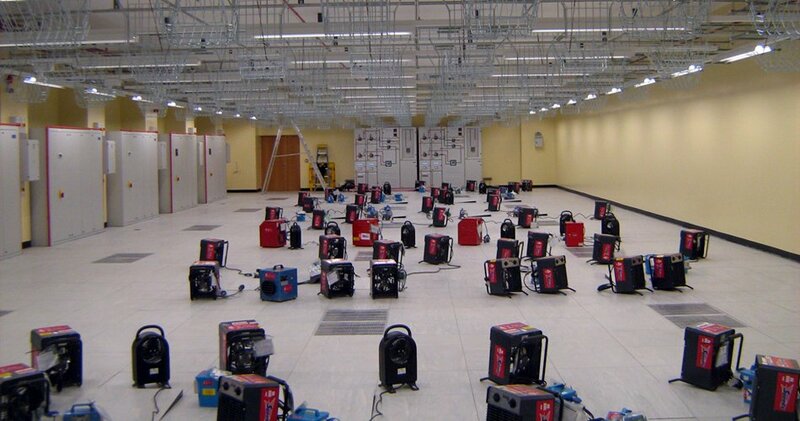 This was an unusual challenge for a data centre which would more normally be housed in a new building. Throughout the project GLM’s skill with existing building adaptation were utilised to the fullest, as the building threw up a range of surprises and challenges to the design team. GLM’s role as designer meant that an M&E led project did not falter when confronted with difficult built fabric. Over time, GLM has been called on to aid with a series of associated issues with the building, from internal refurbishment of office areas, to roof repairs. "The new data centre at Saughton House was a complex and strategically important project to the Scottish Government which required close attention to detail and efficient control to ensure the project objectives were achieved. GLM's appointment as Project Managers was fundamental to the successful delivery of the project and the commitment shown by their team was exceptional."